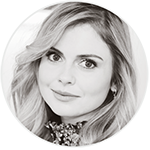 Here you can read and share your experience during your meeting with Rose McIver. Did you already met Rose? Contact Us and tell us everything you want about your meeting! We and other fans would love to read how was your meeting with her. Below, by clicking on the link, you can read the story of others fans.